It is a buyer’s world, and the first step in boosting sales performance in this world is making sure that marketing managers, sales managers and sales personnel understand this fact. The buying process itself should be the foundation and center of the selling process. 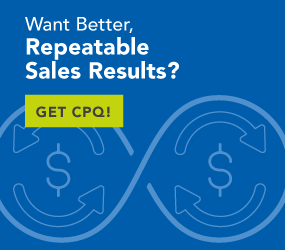 You can hire the best sales superstars, reward performance with lavish incentives, and structure your pricing as aggressively as possible, but until you address an improved buying process, your impact on sales performance will be minimal. The good news is, improving the buyer experience is not a black magical art or some mysterious techno-weenie science. The buyer is in charge. Buyers know they have a specific issue, and they know when they can practically address the issue rather than live with it. They also know how to do their own research about possible mitigation strategies that will address the issue. When the need is there, the buyer will likely open up Google or some other search engine and start collecting information about their problem and solution alternatives for that problem. Being buyer-centric simply means you accept that scenario and build your systems and processes to help prospects and customers with their informational quests. Early Phase – Sales can monitor online behaviour of visitors and prospects. Thank-you emails with additional content suggestions are useful at this point.